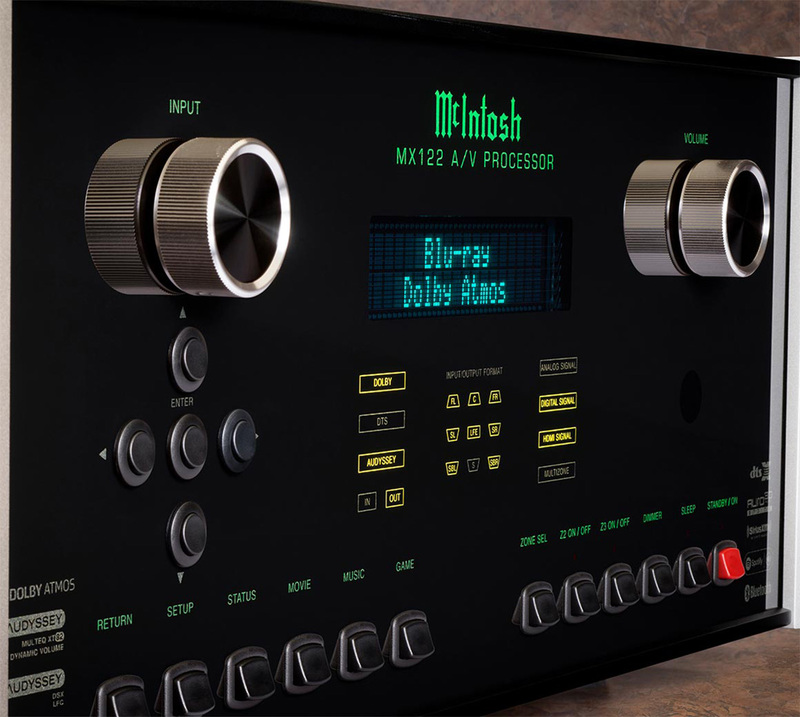 The MX122 A/V Processor can serve as the brain center for an advanced home theater system for years to come. 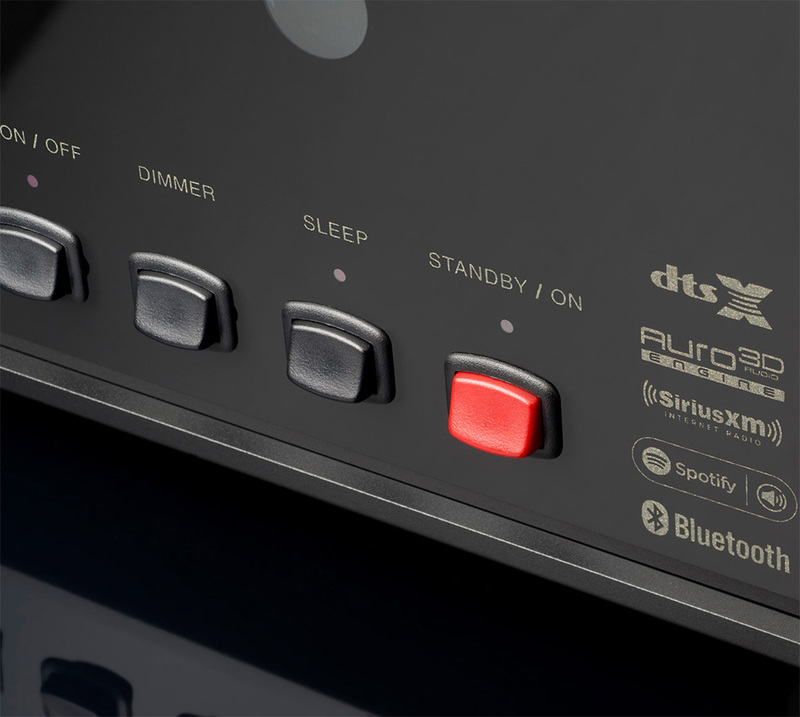 It features many of the latest breakthroughs in surround sound and object-based 3D audio with support for Dolby®Atmos, DTS:X™ and Auro-3D®. 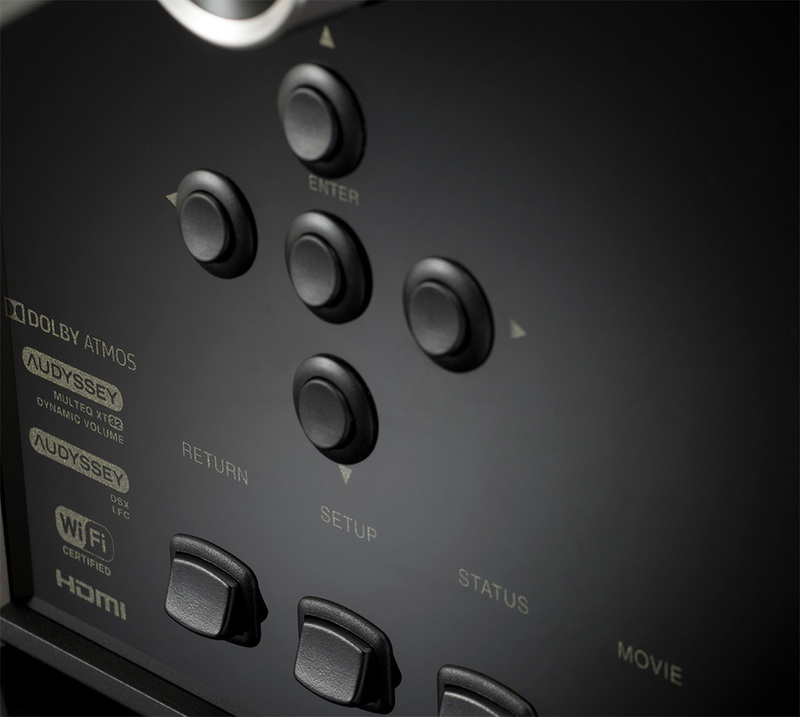 Besides 3D audio, existing formats like Dolby TrueHD, DTS-HD Master Audio™ and others still work so you can keep enjoying your existing movie collection. 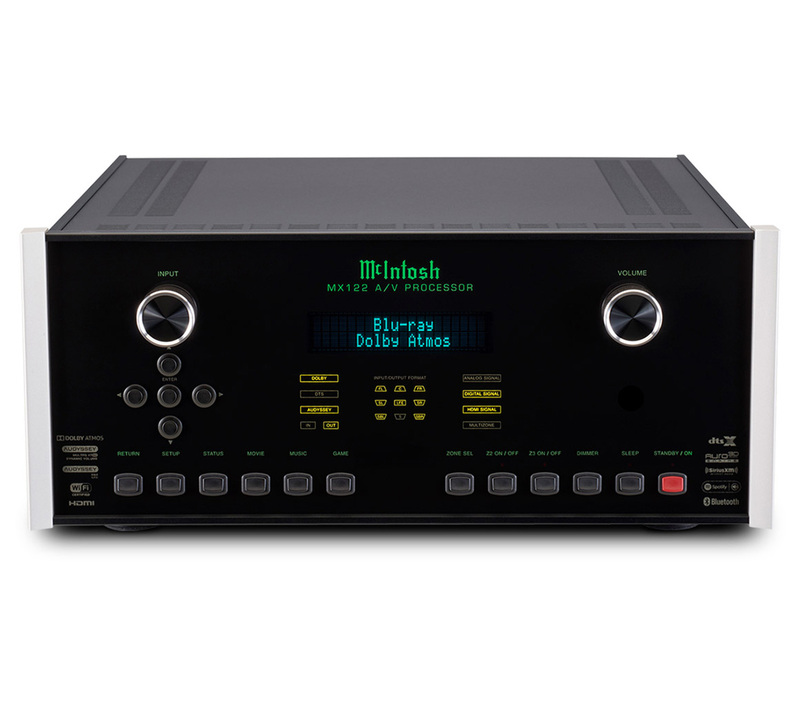 Regardless the format, all audio will be processed to legendary McIntosh sound quality and performance standards. 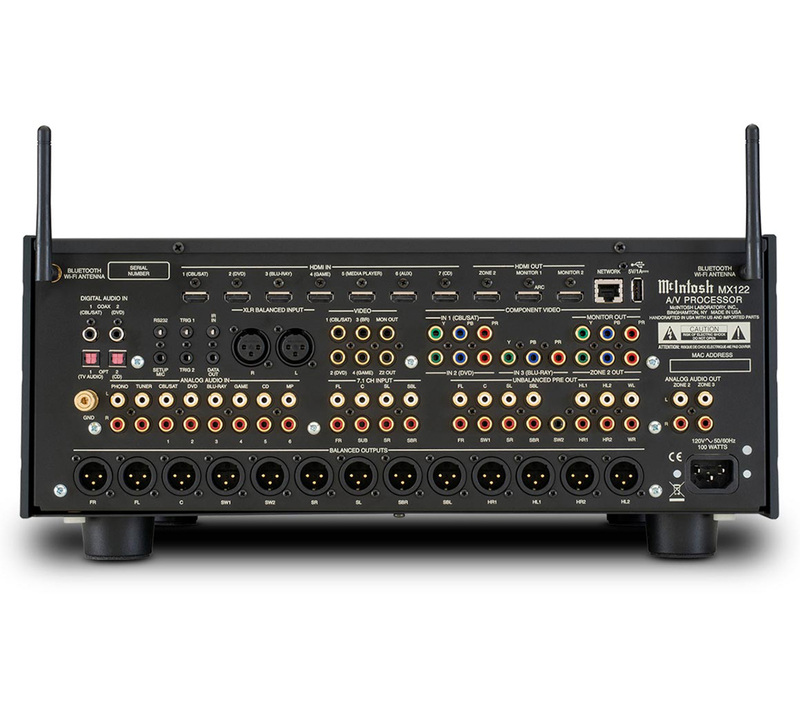 The MX122 is also fully compatible with modern 4K Ultra HD video sources and can upscale lower resolutions to 4K Ultra HD for the best possible picture quality.